But there were surprises in store: The Darkside outperformed expectations and has been adopted by many professional production cutters. In particular, they are the "Magic bullet" for quartzes when used with Cerium, Zirconium, or Chromium Oxides. "The Flat even polish from cerium on "Darkside™" was pretty amazing for me. I had to really look at it, a lot, not used to the flatness and sharp facet edges or junctions on my Quartz gems. Try a larger table like this one, polish came up Pretty quick as well and again nice and flat, (No polish lines,swirls,blemishes etc) just even clean polished surface." 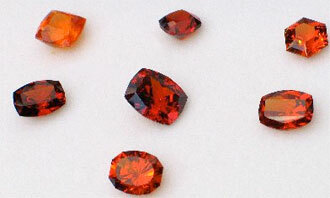 Barion Oval Quartz 51.25mm.x34.1mm. 1.6oz. 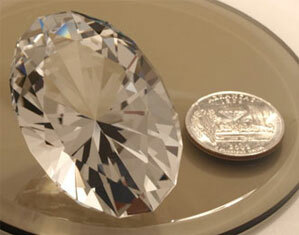 @ 46grams @ 227carats +/- my scale only measures to 100cts. The DARKSIDE™ is a lightweight lap, made of the specially developed material coated onto a rigid baseplate, then machined both sides for flatness. For its thickness it is surprisingly rigid. Because of the two-ply construction, these laps require twice the labor operations to manufacture, but it least it finally gets away from those horrible tin prices. The Darkside™ is a RESURFACABLE LAP. Within reason, if a lap jam does not destroy the lap, you get another chance or two. If A stone fractures and chips embed, the Darkside can be resurfaced. Once production started, I increased the thicknesses of both the metal backing and the polymer composite layer to allow this, as well as to give the lap a stiffer "feel" and quiter running. I can resurface your Darkside, or any local machine shop can. Carbide tooling is required. 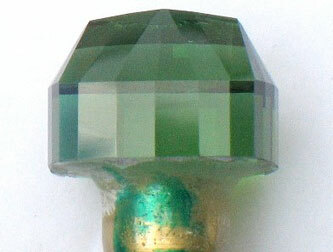 Single point or PCD diamond is strongly suggested for best finish. It is not an off-the-shelf commercial material. Like BATT™ and BA5T™, it was designed for this specific application, Made Here, and has no other readily apparant commercial uses. It is not a BATT™. It is designed for polishing, though it has been tested successfully with 3K as a prepolish, which it does quickly and aggressively. While I never designed the tin alloy BATT for cutting, people love cutting with it...but you will NOT be able to do this with the DARKSIDE™. Like all Gearloose laps, the polishing mechanism relies on surface complexity for polish retention, and lubricity for reduced heating and higher polishing efficiency. Some users have gotten three pavilions done before needing to add more diamond. Because the composite contains carbon, it has a natural affinity for diamond, but the hydrophilic domains GREEDILY accept oxide polishes-Use them SPARINGLY.
" I haven't had time this week to try the Darkside myself so gave it to my best cutter yesterday to try. He isnt going to give it back, NO WAY ! Its a real good test as he is a bit old fashioned and set in his ways, he didnt even really want to try it but he is really pleased he did. He was cutting sapphire and used #60,000 Diamond- no problems getting it going, I think you are on a winner." "Polish is done in about 1/3d the time it used to take. Why weren't you around 25 years ago when I got started and it would have saved me much frustration!" "Tried the new darkside lap. I give it a grade of super. 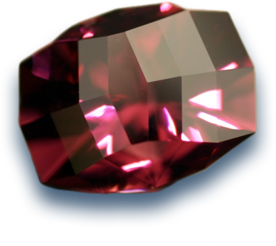 Have polished cz, tourmaline and a demantoid garnet with a great and fast polish." "I let my partner try it, and he will not give it back. Can I have another?" 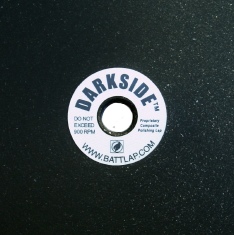 "DARKSIDE™ is a Trademark used to describe a proprietary advanced composite polymer that has been engineered to produce low coefficients of Friction and thereby run cooler than other polymeric laps, and high surface complexity for polish particle retention. It has domains which are lyophilic and hydrophilic, allowing use of any polish medium.